How to move Spotify playlists to Google Play Music? Google Play Music allows you to store up to 50,000 songs from your personal music collection. Some people ask how to upload Spotify playlists to Google Play Music. Although Spotify Premium users can download songs to local computer, the songs are DRM protected and can't be uploaded to Google Play Music. To transfer Spotify playlists to Google Play Music, you need a third-party Spotify music downloader to download Spotify playlists as mp3 files, then you can upload them to Google Play Music easily. 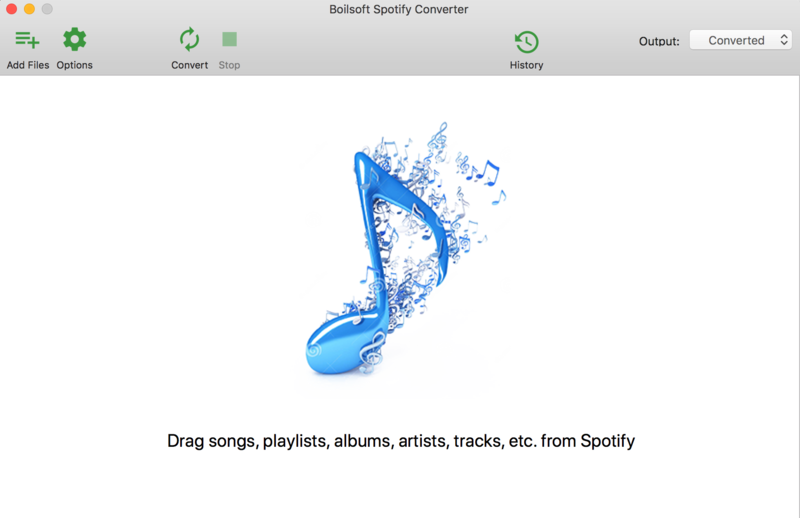 Here we will introduce the professional Spotify music downloader called Boilsoft Spotify Music Converter which allows you to easily remove Spotify DRM and convert Spotify songs to plain audios such as mp3 on Mac/Windows. It will preserve 100% original quality and all ID3 tags. 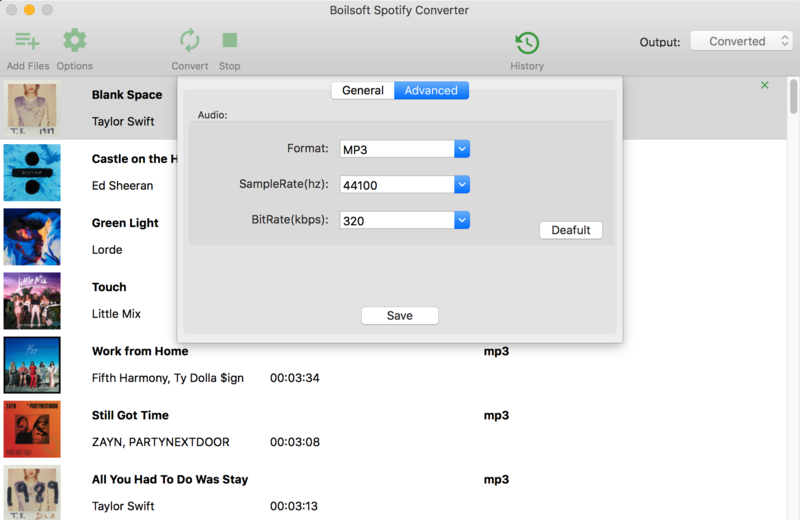 Related: If you want to transfer Spotify playlists to iTunes Library, check this tutorial. Follow this tutorial to learn how to move Spotify playlists to Google Play Music. 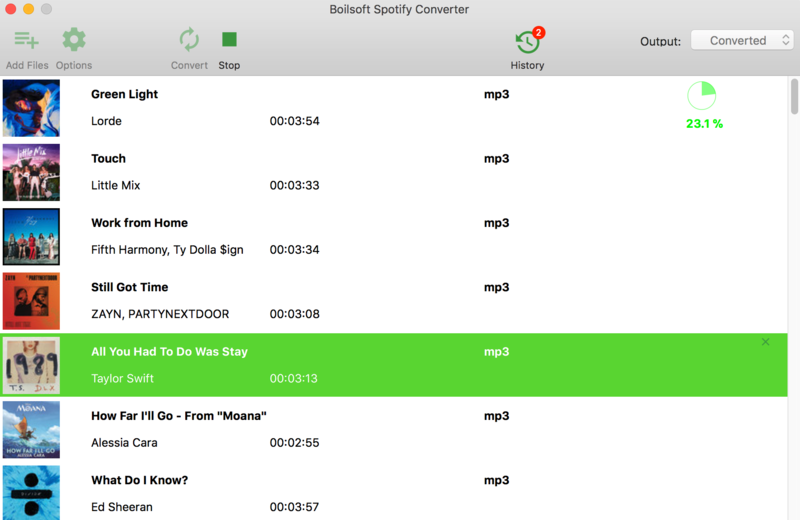 You can now drag&drop the playlists you want to convert to mp3 to the interface directly from Spotify App. If you are using Spotify web player, click Add Files icon and copy&paste the link of the playlist to the bottom input area. 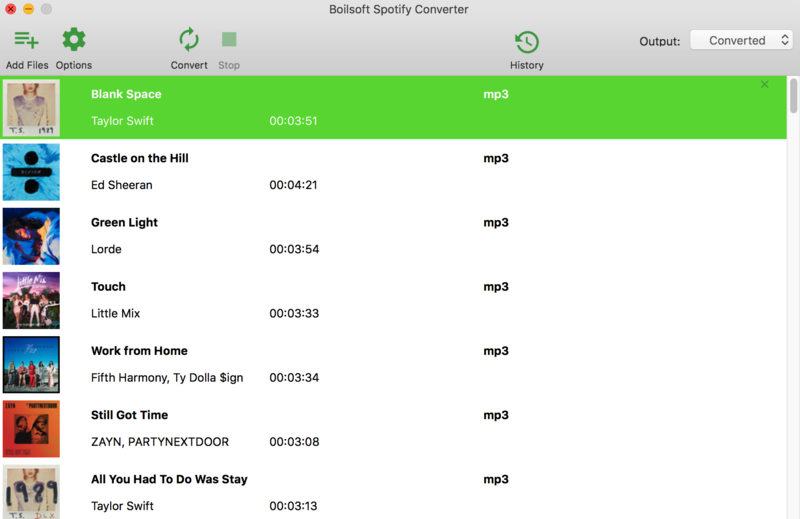 Boilsoft Spotify Music Converter will automatically load all songs contained in the playlist. 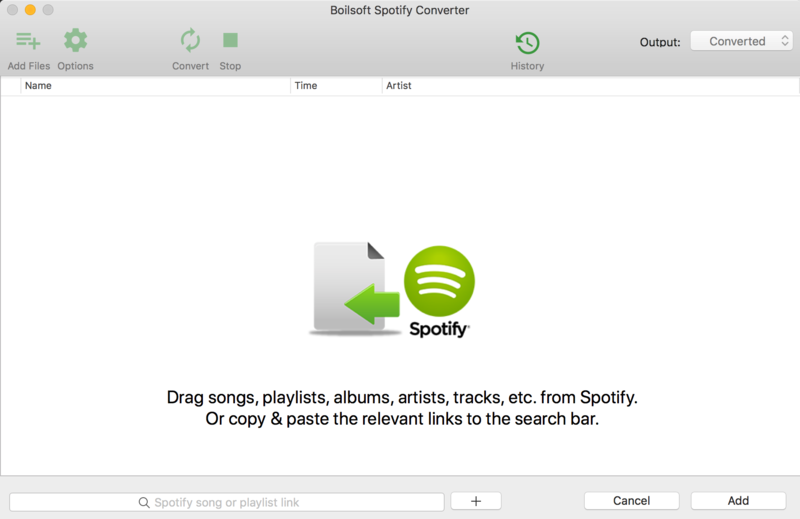 Click Convert icon to start converting Spotify playlists to MP3. After conversion, you will get the drm-free MP3 music with 100% original quality and ID3 tags. Now you can transfer them to Google Play Music. The default format is MP3. If you want to change output format(M4A, WAV or FLAC), click Option button. You can also set music quality by changing bitrate and samplerate. After conversion, find the Spotify mp3 songs in the output folder, now you can upload them to Google Play Music: add your music with Google Play Music.